Scouting teaches skills that help youth develop into quality citizens. Organizations that are interested in nurturing youth for the betterment of the community will find Scouting to be a positive form of community outreach. 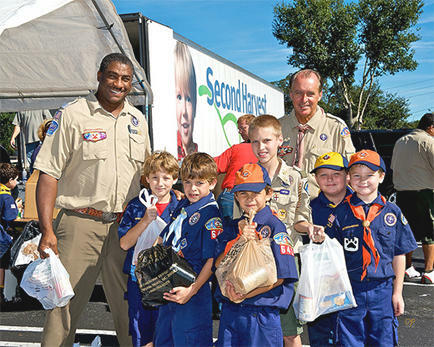 The Boy Scouts of America grants charters to organizations such as churches, service clubs, and other community groups to operate Scouting groups. These organizations use the Scouting program for community outreach and to help them serve the needs of local youth. Scouting’s time-tested, high-quality youth development program affords organizations higher visibility in the community and increased service to youth. Chartered organizations partner with local Scout councils to provide the support necessary for troop operations. When an organization adopts Scouting as part of its youth and community outreach program, a committee is formed and leadership is selected to organize and operate the troop in conjunction with the organization’s special needs and desires. Councils provide program materials and literature, outdoor camping facilities, leadership training and field support, assistance in recruiting members, liability insurance, record keeping, and supplies such as uniforms, insignia, and awards. More than ever, young people need the guidance and mentoring that Scouting provides. Scouting’s constructive educational program is a healthy alternative to the negative influences youth face. By registering your child in a Scouting program, he or she will have a lot of fun - while being challenged to develop leadership skills in an environment that stresses the importance of moral and ethical behavior. Thank you for your interest in contacting the Boy Scouts of America. Lincoln Heritage Council helps chartered organizations in its geographic area effectively use the Scouting program and to expand the use of the program to other community groups.